It’s just weather, it’s all been done before and will repeat again. Not Global Warming, not Climate Change, just normal weather. Here’s a glimpse of two Februaries, 2015 and 1934. The rest is at Anthony Watts’ What’s Up With That. Barking Moonbat Early Warning System has the details. When your doctor turns on the gas during surgery you go to sleep. You may be having pleasant dreams, but you are also contributing to global warming, according to a study released Friday by the University of Copenhagen. Each year, surgery related gases affect the climate as much as one million cars, reports the study done in conjunction with NASA and the University of Michigan medical school. Ole John Nielsen, a professor of atmospheric chemistry at the University of Copenhagen carried out the study which examined three gases, isoflurane, sevoflurane and desflurane, used regularly in human medicine. Nielsen says all three are worse than C02. Nielsen said the mildest of the two are isoflurane and sevoflurane. He said the study finds desflurane the most harmful and will cause 1,620 times as much global warming as an equal amount of C02. Isoflurane and sevoflurane have global warming potentials of 210 and 510 respectively. “This ought to make anesthesiologists sit up and take notice. If all three compounds have equal therapeutic worth, there is every reason to choose the one with the lowest global warming potential”, Nielsen said. “The amount of gas needed for a single surgical procedure is not high, but each year surgery related anaesthetics affects the climate as much as would one million cars,” says the study published in the December issue of the British Journal of Anesthesia. The gases were studied at the Ford atmospheric laboratories near Detroit. NASA’s Mads Andersen collaborated with Nielsen and came up with the idea for the study while his wife was giving birth. “The anesthesiologist told me, that the gas used is what we chemists know as a halogenated compound. That’s the same family . 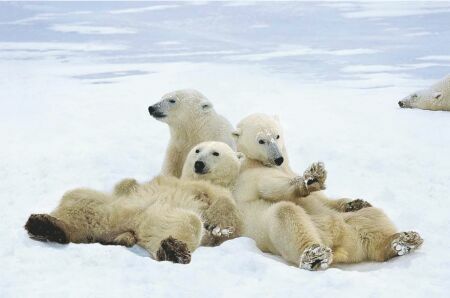 . . as the Freon that was famously eating the ozone layer back in the ’80s,” Andersen said. Freon has been banned around the world since 1992. They have done so well so far…Be Afraid, Be Very Afraid! What? 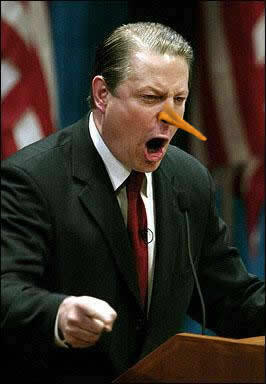 Al Gore would LIE to get his way? 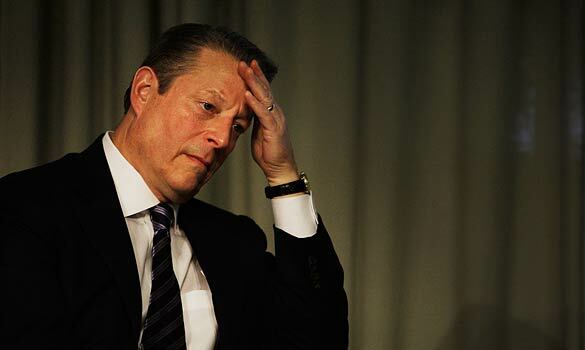 Nobel laureate Al Gore said this weekend that tax breaks for corn-based ethanol are “not good policy” and that he only supported these subsidies in order to assist his eventual run for president. Reuters Africa reported Monday the former Vice President made these comments while speaking to a green energy conference in Athens. “It is not a good policy to have these massive subsidies for first generation ethanol,” said Gore. According to the International Energy Industry, such subsidies totaled $7.7 billion last year. Yet Gore now thinks this was a mistake. “The energy conversion ratios are at best very small. It’s hard once such a program is put in place to deal with the lobbies that keep it going,” he said. Readers are reminded that Gore was the tie-breaking vote in the Senate mandating the use of ethanol in 1994. So why did the man media view as one of the world’s foremost environmentalists support such a program? So more than ten years ago, Gore supported an expensive, “not good policy” because he thought it would help him get elected president. Yet media don’t believe he’d misrepresent the threat of manmade global warming in order to become extremely rich. The bigger question is whether or not this matter will get any attention here in America, or if the Gore-loving media will choose to ignore this stunning revelation.